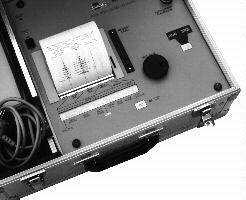 Since 1979, Meraster has supplied instruments to estimate the in-situ deterioration of wire ropes around the world. The operation of our NDT instruments is based on permanent magnet method, which was developed in Poland and is used throughout the world. 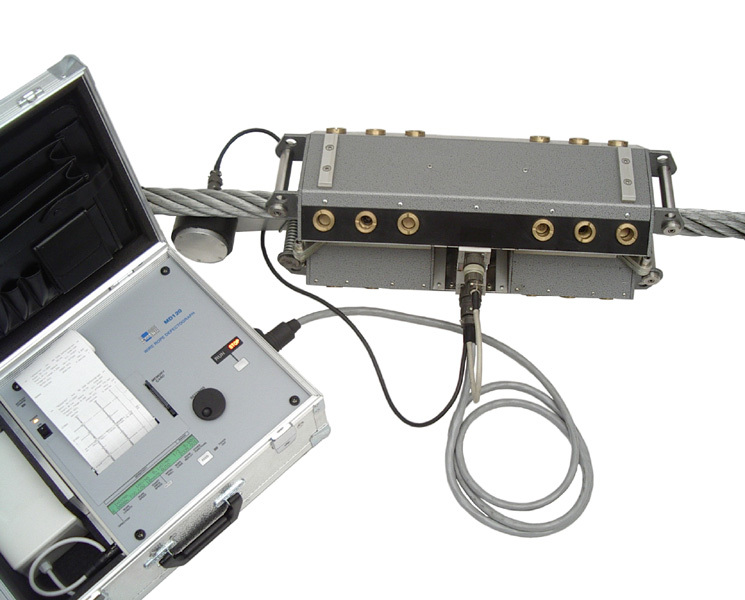 Meraster's standard range of sensing measuring heads can be used for ropes ranging from 8 to 90 mm diameter. Custom designed heads are also available. 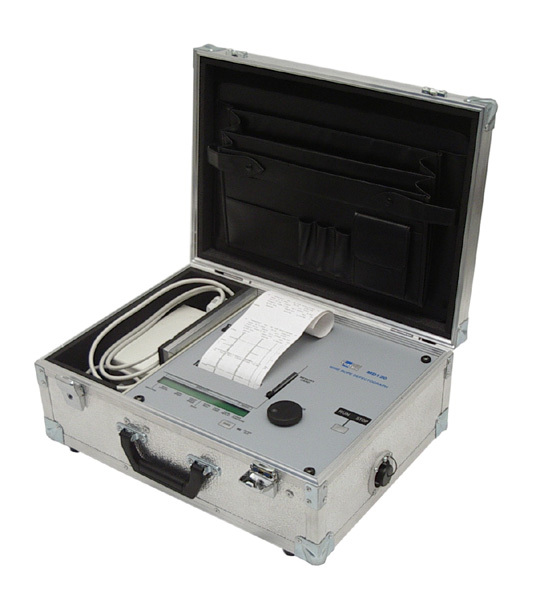 For smaller ropes our MD-20 hand-held head-tester can be used. 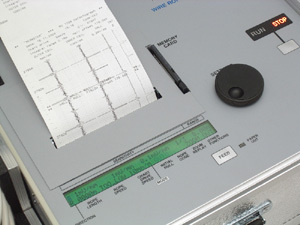 Recently developed by Meraster, the MD120 recording system includes a specially designed portable chart recorder with additional data recording which can be transferred to a computer. This unique instrument has been designed as a helpful and comfortable tool, to meet the special needs of rope experts in industrial environments. MD120 Defectograph uses today's knowledge and technology to provide the maximum possible information that can be obtained from a rope in situ under non-destructive testing. See: "GP Measuring Heads", "GM Measuring Heads", "MD-20 Wire Rope Tester"
This instrument is intended to record signals from magnetic sensing heads for testing wire ropes. It may also be direct applied to recording other electric signals within its sensitivity range 1mV/mm to 3.2 V/full scale or it may be customised to record within another required range, from 50 µV/mm. 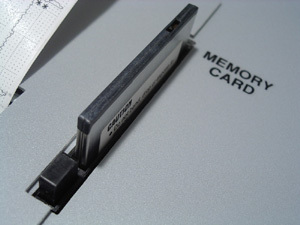 Capacity: 512 kB to 4 MB, i.e. for rope speed 0.05 to 10m/s depends on: "nominal sensitivity" x "value of rope speed in m/s"